Girl Scout Cookies Sativa Shatter: Girl Scout Cookies, or GSC, is an OG Kush and Durban Poison hybrid cross whose reputation grew too large to stay within the borders of its California homeland. With a sweet and earthy aroma, Girl Scout Cookies launches you to euphoria’s top floor where full-body relaxation meets a time-bending cerebral space. A little goes a long way with this hybrid, whose THC heights have won Girl Scout Cookies numerous Cannabis Cup awards. Patients needing a strong dose of relief, however, may look to GSC for severe pain, nausea, and appetite loss. 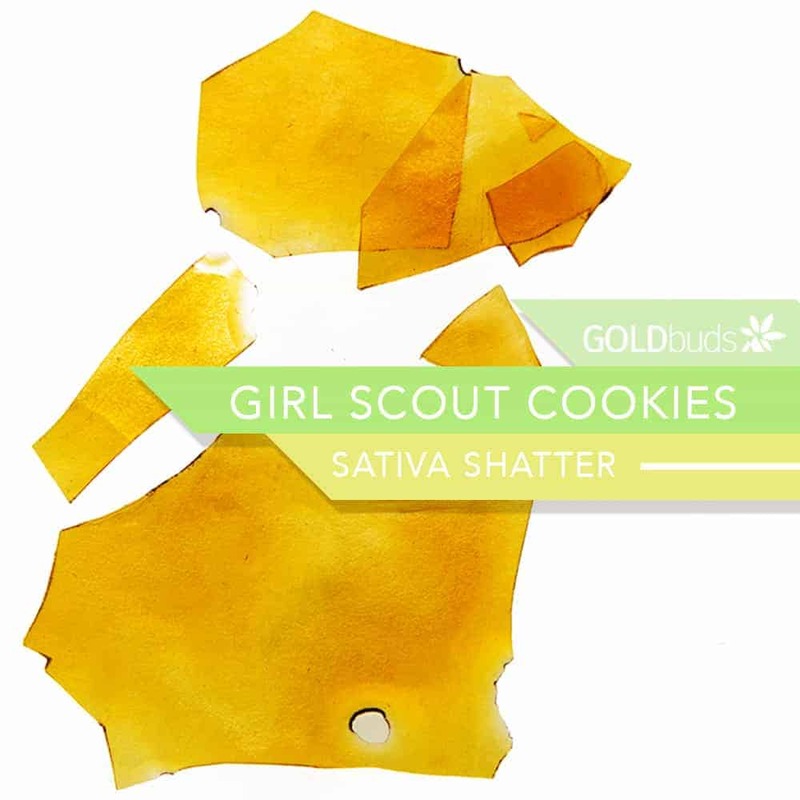 4 reviews for "Goldbuds – Girl Scout Cookies – Sativa Shatter"
Anything girl scout cookies is worth smoking in my opinion. Excellent product, the shatter is really clear and the tasted is awesome.